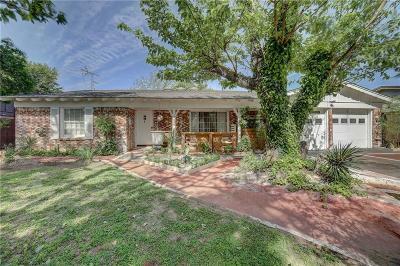 Charming 3 bedroom 2 Bath Fort Worth Home includes many updates, well located in an established neighborhood. Great layout offers a spacious family room w high ceilings, decorative fireplace & skylight. 2 dining areas. Nice kitchen open to the breakfast area. Oversized master retreat is split from other guest rms & includes private bath & Walk in. Recent interior & exterior paint, ample closet space, ceramic floors thru out. Roof has been recently replaced. Large covered patio is perfect for entertaining. Tons of additions to the front and backyard Landscaping. 2 car garage. Central Location minutes to downtown Ft Worth, 121, I-35, I-30 & 820. Elementary school is nearby. Well maintained & move in ready. Hurry!